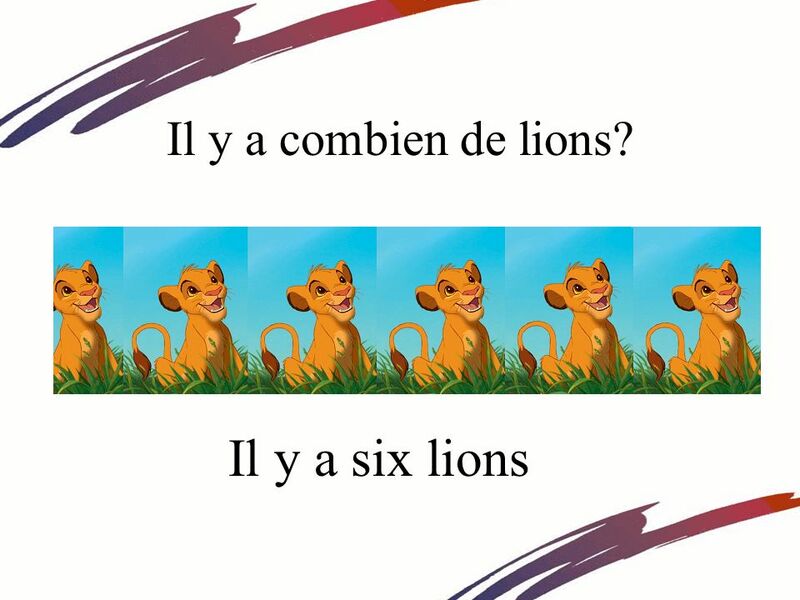 Il y a combien de..?. 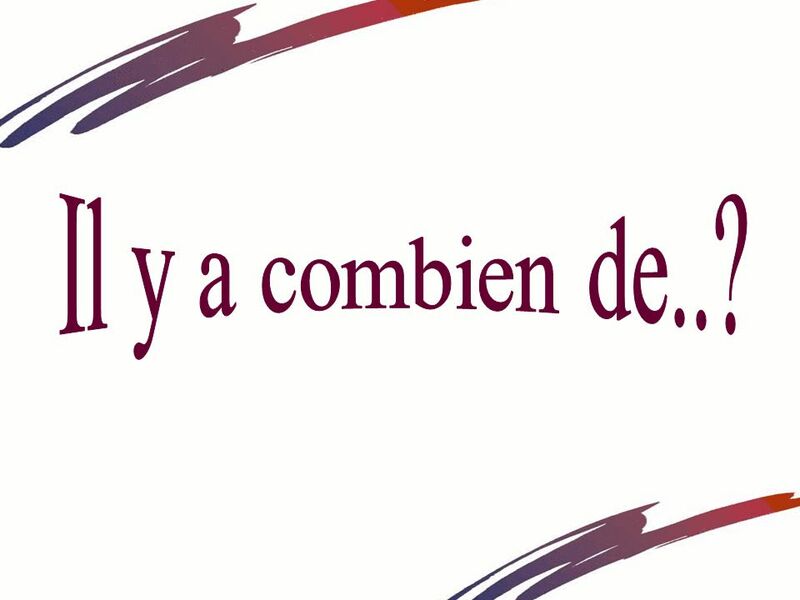 1 Il y a combien de..? 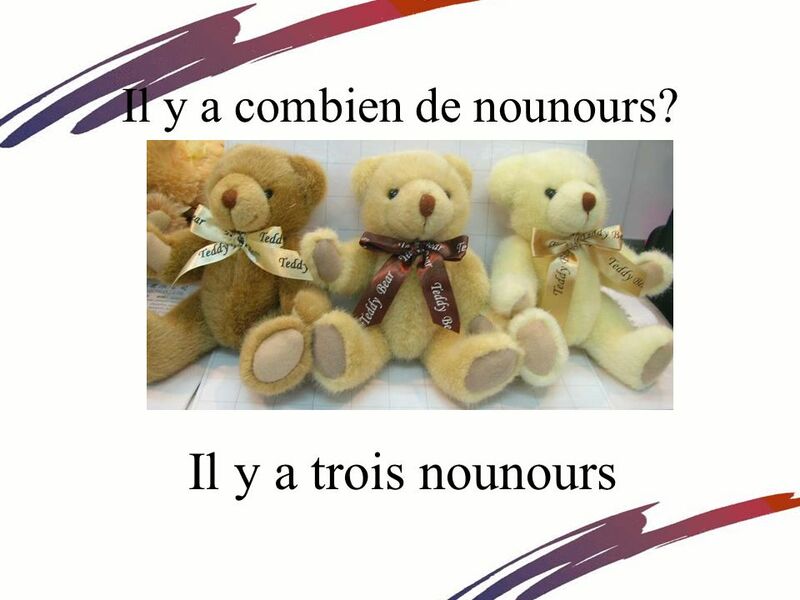 4 Il y a combien de nounours? 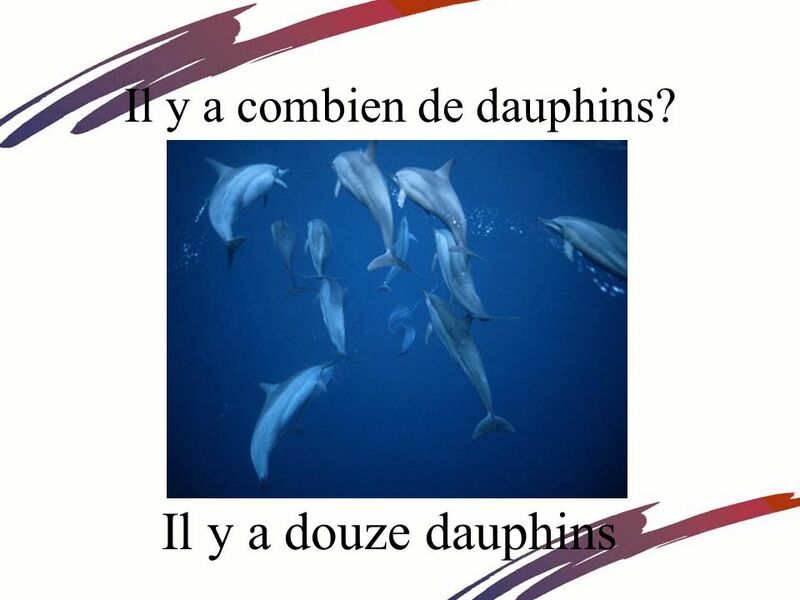 7 Il y a combien de dauphins? 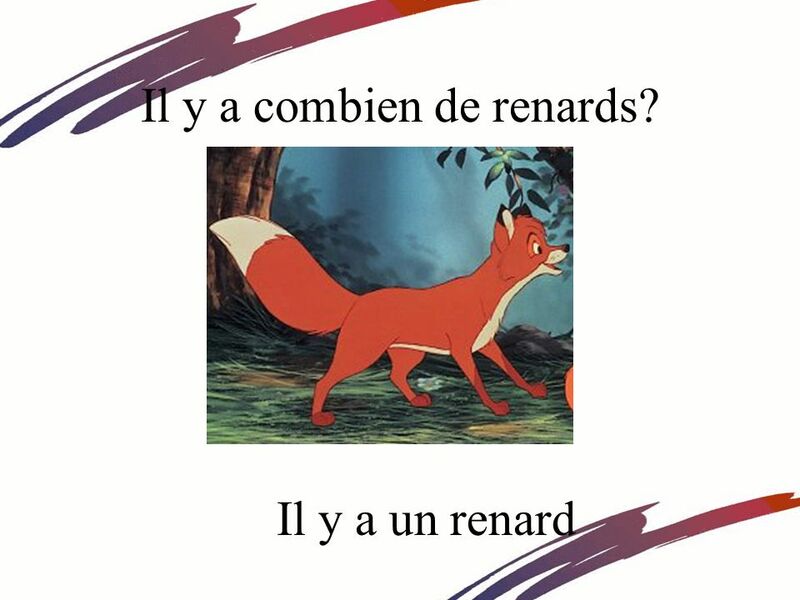 9 Il y a combien de renards? 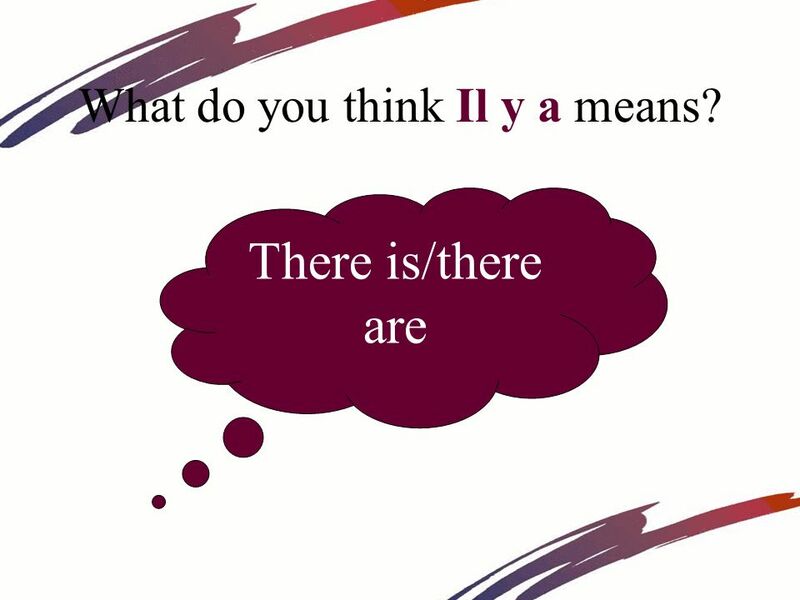 10 What do you think Il y a means? 13 Did you notice anything else? Yes! Sometimes there is an “s” on the end of the noun. 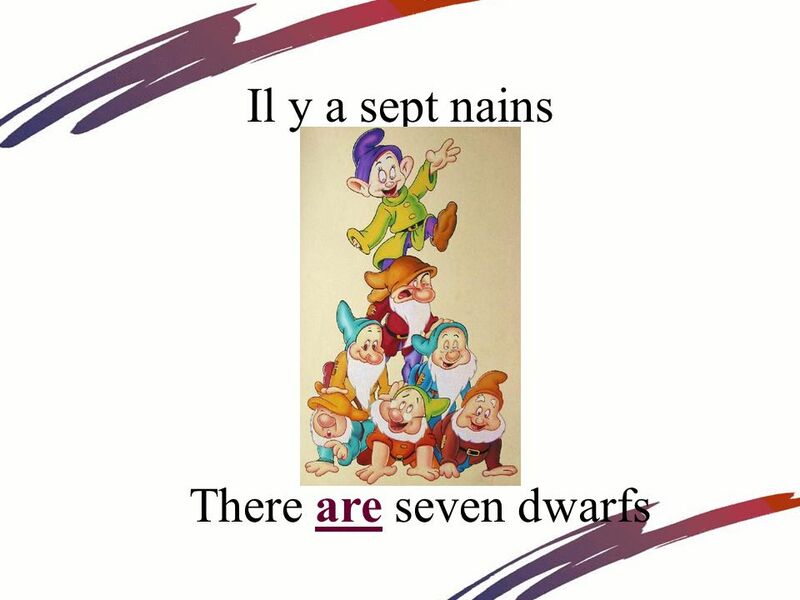 Il y a sept nains Why do you think that is? 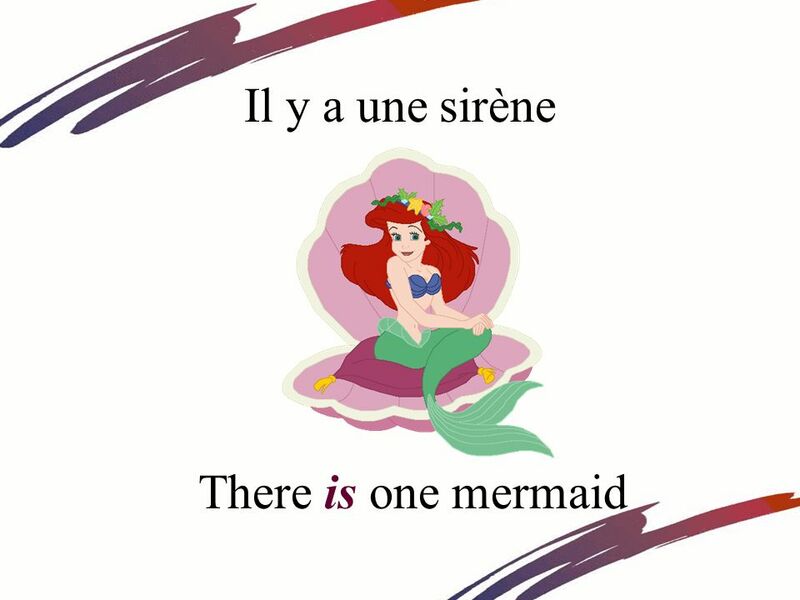 It’s plural! 14 Oh! And what was the question I asked? 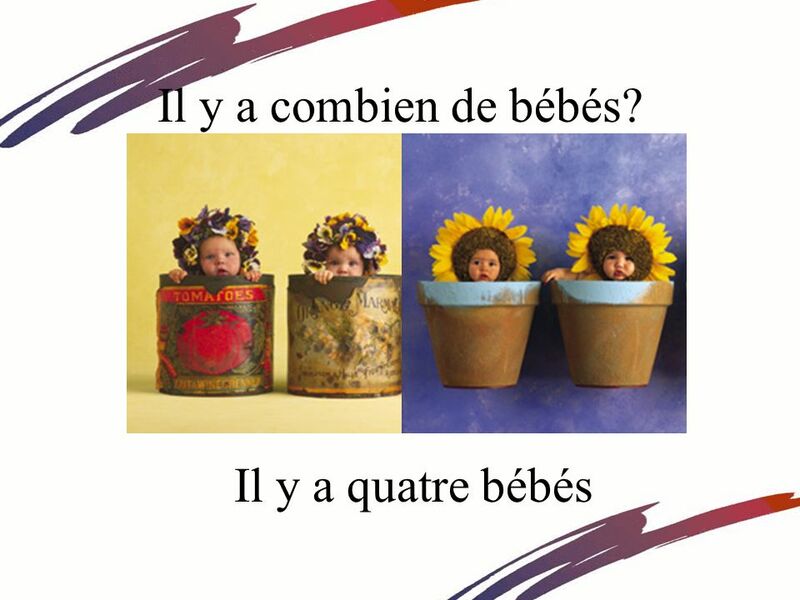 Il y a combien de…? What do you think this means? Bravo! 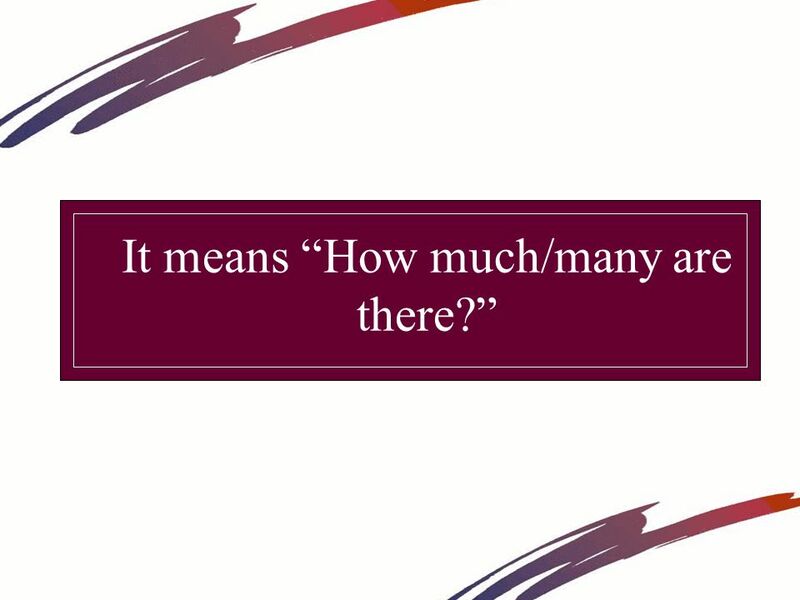 Title: How much/many? 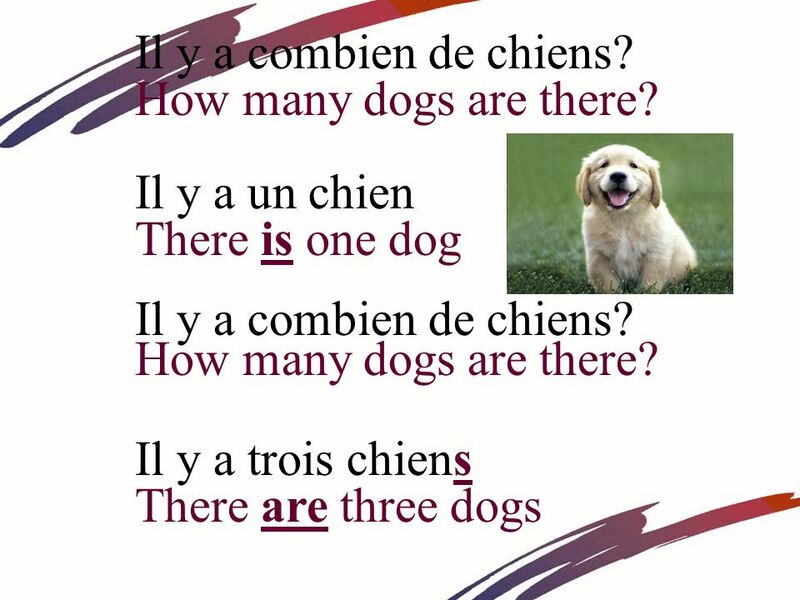 Il y a combien de… How much/many…are there? 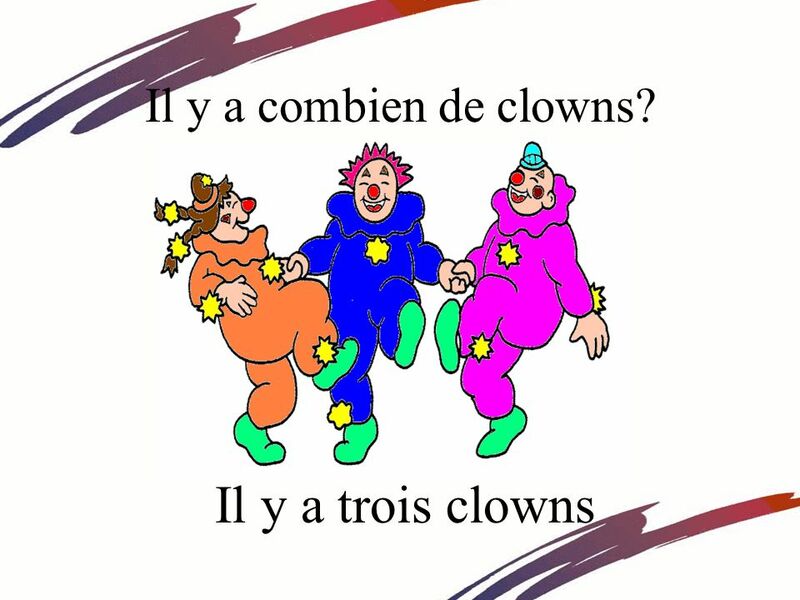 Download ppt "Il y a combien de..?." Numbers in the woods Objective: to recap numbers, singular and plural nouns. 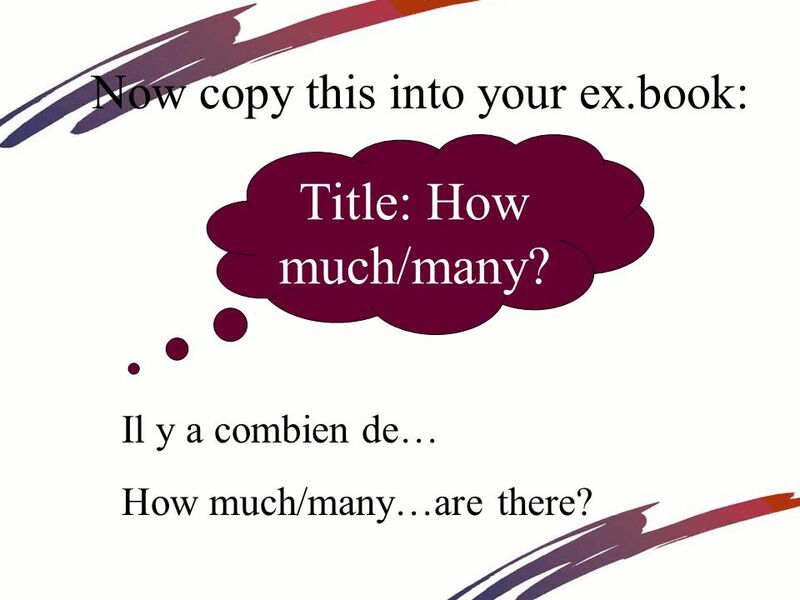 TASK 1: Copy these words correctly onto your sheet: le deux novembreLes Jours de la Semaine lundiMonday mardiTuesday mercrediWednesday jeudiThursday vendrediFriday. 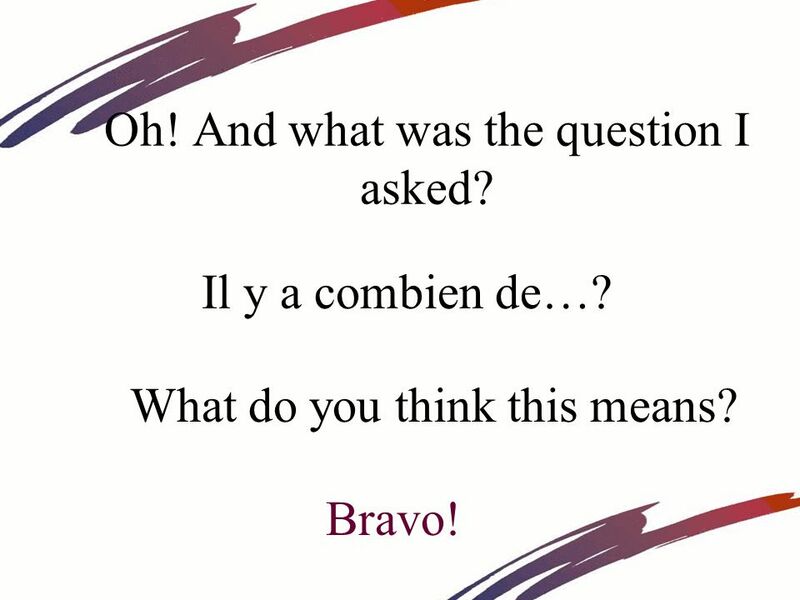 Notes for the teacher: This PowerPoint is designed to accompany the sound file Quel âge as-tu ? There are 8 statements giving 8 different ages between. 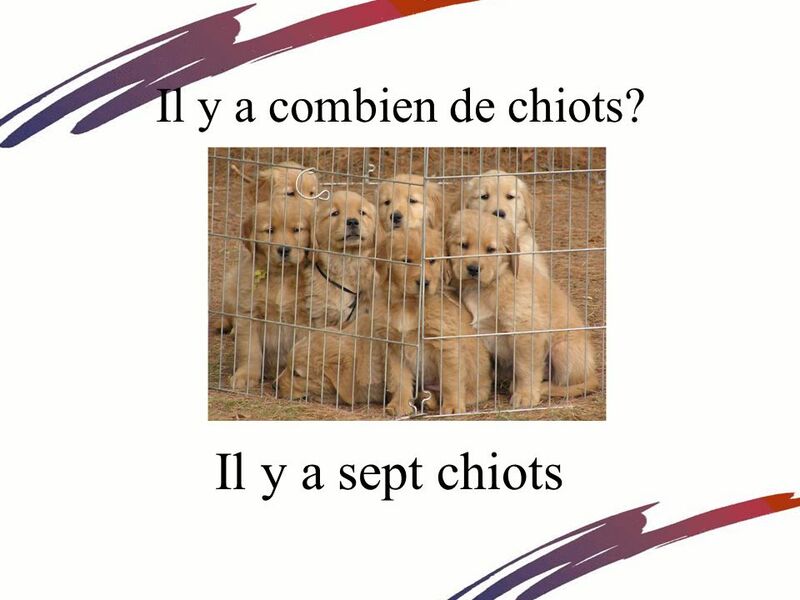 As-tu un animal? 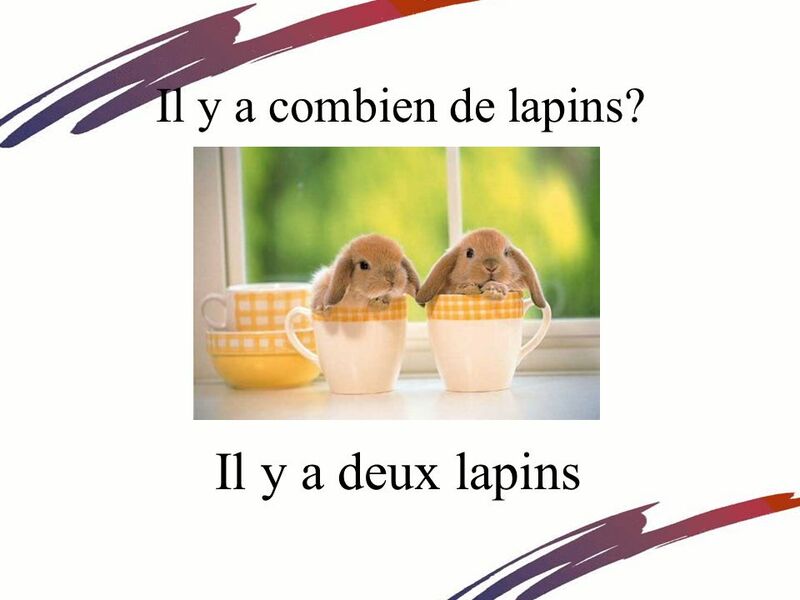 Un chien Un lapin Un poisson. Learn French Fast! Contents French numbers! French colours French foods. Indefinite Articles Indefinite articles are NOT specific. 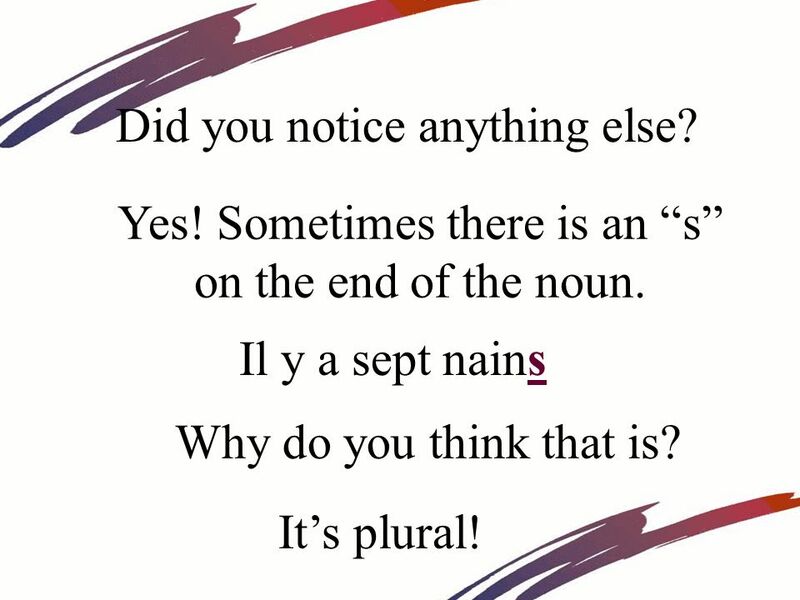 They are the OPPOSITE of definite articles. Example: I want THE blouse that your gave me for. Time with minutes French I Le 30 Octobre.